My new regular Thursday posts are going to focus on the various ugly -isms (racism, sexism, etc.) that show up in comics, both in the industry as well as what's depicted on the printed/digital page. But before I really delve into that, I think it's significant that I provide some background. Because, let's face it, I'm a white, heterosexual male and have never really experienced any of the problems that I'm talking about. I grew up in a very Caucasian suburbia. The first non-white family didn't move in until I was twelve or thirteen, and they remained the only non-white family in the town at least until I left to go to college. I had watched Seasame Street growing up, of course, and my father worked in downtown Cleveland, so I was certainly aware of others of the not-like-me persuasion, but like the rest of America, I was largely shown in media (TV, comics, movies, and everything else) that what I looked like was "normal" and everybody else wasn't. College in a much larger, more urban setting exposed me to a wider swath of the population on a more regular basis. I became more aware of racial and sexual issues particularly, since I was going to school considerably farther south than where I grew up, and there were regular demonstrations nearby from the Klu Klux Klan and protests against things like the travelling Robert Mapplethorpe exhibit that came through. And while I can't say I became great friends with anyone who didn't share a similar background with myself, I at least found myself in circles that included a larger mixture of races, sexual orientations, and backgrounds in general. I was more conscious of issues of social equality, but only from a textbook type of perspective. That is, most of what I knew or understood came from reading, not experience. After college, I got a job and got married and, for whatever reason(s), found myself still in a predominantly white, heterosexual environment. Because there simply weren't many Blacks or Asians in my immediate circle of co-workers, issues of racism rarely came up. In fact, I can only think of one instance in the first fifteen years after I graduated where I even heard of any racial issues come up. It was an instance where a Black worker in another department was accused of stealing a company car when he had irrefutable proof of his whereabouts when the car was stolen, and when his boss/accuser refused to even apologize, the one other Black employee came forward with a large file he had been collecting of instances where this accuser had exhibited bigoted tendencies. Nothing ever came of it, though, and the two offended gents soon left the company in disgust with the lack of repercussions this woman received. OK, skip to several years later. I changed jobs, but the diversity was about the same. I got divorced. And then I met a woman through online dating who happened to be Black. And through her and her family, I've gotten a better understanding and appreciation for what her skin color means. And, by extension, prejudice in general. By no means do I claim a deep empathy here because, by the nature of my chair of privledge, I can only sympathize. Around this time, I stopped reading Marvel. The short version is that their comics weren't fun any more. In looking for new stories in comic form, I began looking for (among other themes) ones I could learn something from. Both in the stricter sense of educational comics -- biographies, histories, etc. -- but also in the broader social sense. Comics that represented a worldview noteably different than mine. What's it like to be an American Born Chinese? 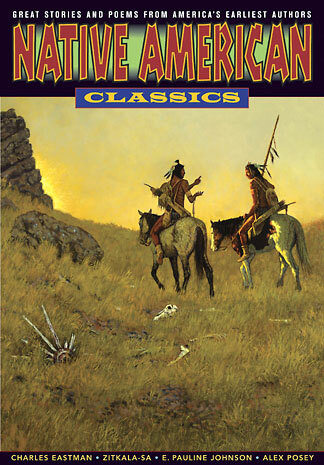 What are Native American Classics? I began seeking out these different (to me) voices to see if I could get a deeper still appreciation of what people go through if they don't have that chair of white middle class privilege. I still love comics and I read a wide variety of material. But in hearing the sporadic discussions of discrimination and inequality both in the comics industry and on the comics pages, I think it's relevant to have a regular, ongoing dialogue. In the best case, I might open the eyes of a few people who didn't even realize they were closed. In the worst case, I'll just be talking to myself, but I'll still at least be forcing myself to solidify whatever thoughts I have. So that's what Thursdays are going to be here. Me trying to sort through issues of social inequality in comics. For however much I thought I appreciated that before meeting my fiancée‎, I realize that I understand jack. I think the more I look at and talk about it, the better understanding I'll have. And maybe, if my writing is worth anything at all, you might get a little something out of it too. I like the idea of exploring -isms. You may get more than you bargained for... and I mean that in a very GOOD way. @Frank -- I saw your deleted comment from earlier. Glad you clarified that! :) And, yes, I'm sure this is going to turn into a deep rabbit hole!